The headphone market is a crowded space with headphones coming in at all price-points, shapes and sizes, alongside in-ear, on-ear and over-ear options. DJ Mag Tech has been looking into the below £200 headphone market and have cooked up a choice selection of some of the best headphones for DJing, production duties, high-spec studio time or simply purely for your listening enjoyment. AIAIAI minimalist designed headphones have won over a lot of fans since launch and the TMA-2 Modular has bolstered the fan base further with its unique slant and good quality sound. Following a DIY approach, users get to build their own personalised set of phones for their own specific needs, be it in the booth, in the studio, or out and about. Each individual element of the headphones can be specced exactly to how the user wants them to be, the ear pads, ear cups, cables, headbands, drivers, everything can be swapped out and about to suit. Which means that a standard build will come in sub £139 pounds whilst a more specific build can be anything up to and above £200. The standard build offers great sound delivery and as mentioned a great look with its matt black understated design. 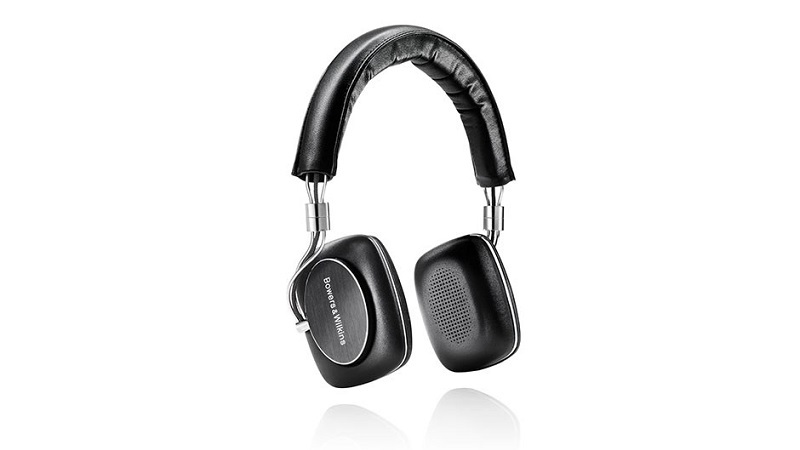 Coming in at just under our £200 marker are Bowers & Wilkins P5 Series 2. Known for their amazing speakers Bowers & Wilkins have utilised their expertise, knowledge and technology in the hi-definition audio market and ported them into these pair of phones. The P5 sound amazing and the audio delivery is next level. Best to consider these a luxury headphone for audiophiles who have a desire for a high level of audio quality. The materials used in the phones are also top level, super soft leather (removable) earpads and headband wrap around aluminium arms and replaceable cables make for a cool looking retro style headphone. Probably best for general listening duties moreover behind the decks or in the studio, but definitely need to be heard as the audio reproduction is simply amazing. Now to a pair of headphones that are perfect for DJs offering great all round sound at a price that will also keep a smile on everyone’s face Pioneer DJ’s HDJ-700. These phones are great for DJing duties as well as general listening out and about. 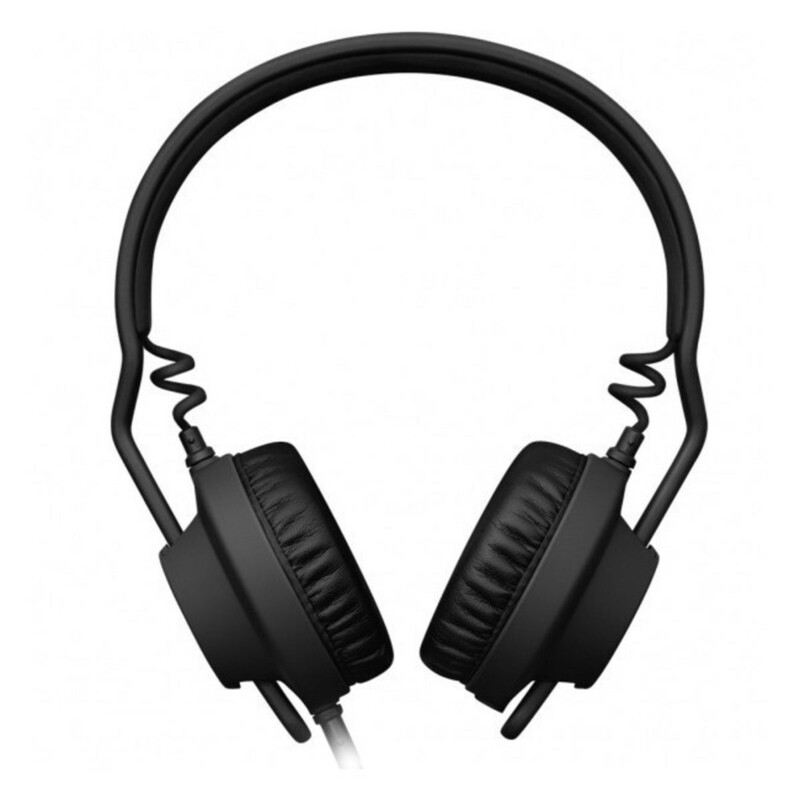 Part of the HDJ family Pioneer have taken technology used in its highly popular flagship DJ headphone the HDJ-2000 and implemented them into the HDJ-700s. 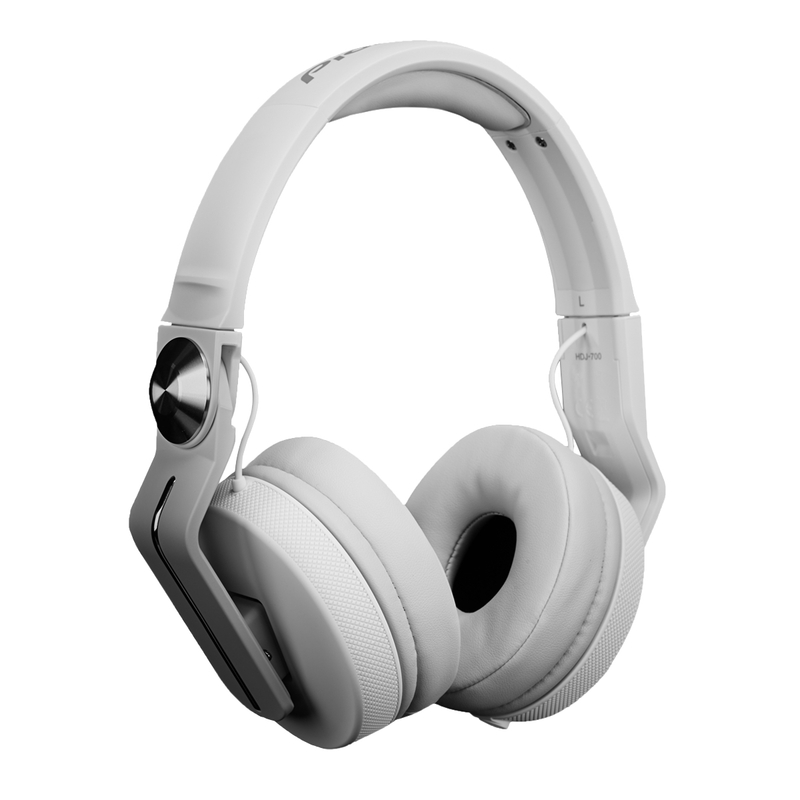 A dynamic style headphone with a nice rich sound makes for the perfect phone for dance music lovers. A sturdy understated build is also a plus point with the phones coming in a range of colours for the fashion conscious amongst us. 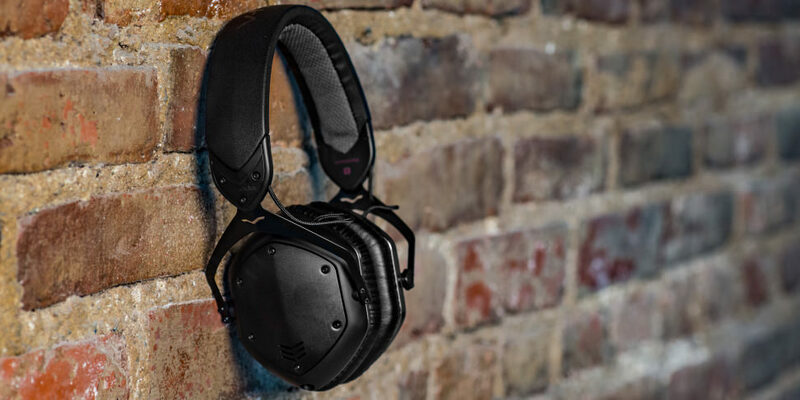 V-Moda’s Crossfade LP2 have been around for a while and have also won over a lot of fans, for its unique styling and more importantly for its quality of sound. Championed by DJs and general music devotees the LP2 sound delightful across the whole frequency range, the bass is full and punchy, tight mids and crisp top end make for a phone that sounds amazing. The lightweight build hides a sturdy pair of phones, that can also be customised with swappable ear covers. The LP2 are also loud and even at higher playback levels the sound quality stays true no distortion or break up. The phones have won many awards and are a staple on the DJ circuit, they also come with an ‘Alien’ inspired hard carry case that will protect the phones whilst on the move. Analog noise isolation is another standout design feature that naturally cuts out unwanted external noise meaning for a clearer listening experience. 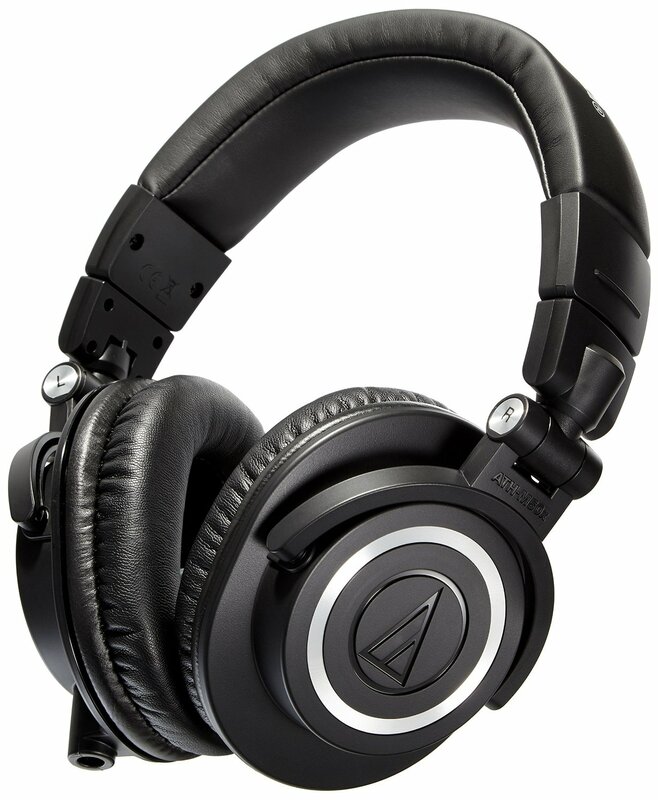 Audio-Technica’s ATH-M50x have got to be one of the most widely used studio headphone on the planet. Classed as a professional studio monitor headphone the ATH-M50x comes with a host of features that make it perfect for studio use. Large drivers, 90-degree swivel earcups - for easy one ear monitoring duties, snug ear pads that isolate external noise, audio delivery over a wide frequency range, three detachable cables, and a comfortable fit ideal for long extended sessions in the studio. The audio quality of the phones is great, a nice balanced sound that doesn’t hint at colouring the audio, which makes them ideal for studio and production uses. The ATH-M50x have firmly established themselves in the production community and can be found in studios all over the world testament to the quality of the phones.